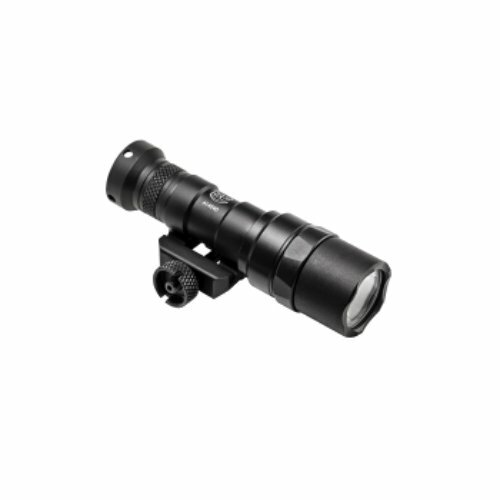 The SureFire M300 Mini Scout Light, powered by one 123A lithium battery, is an ultra-compact and powerful LED WeaponLight that mounts securely to any MIL-STD-1913 Picatinny rail via an integral thumbscrew clamp. The M300's recoil-proof LED emitter is focused by a TIR lens to create a high-intensity 300-lumen beam with plenty of reach for close- to medium-range applications with enough surround light to optimize situational awareness. 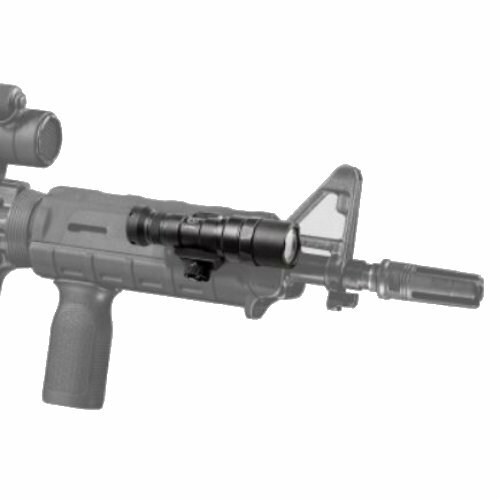 This ultra-compact model minimizes added weight, frees up rail space for other accessories, and increases weapon maneuverability compared to larger WeaponLights. This M300 Mini Scout Light (M300C-Z68-BK) comes with an installed click-type tailcap pushbutton switch -- press for momentary-on, press further to click constant-on. The switch is shrouded to minimize the chance for accidental activation. A remote tape switch can also be ordered as an option. Like all our Scout Light models, the M300 Mini Scout Light is machined from high-strength aerospace aluminum with Mil-Spec Type III hard anodizing that’s built for combat conditions without weighing your weapon down. This model is available in Black only. FITS: Rifles, carbines, or submachine guns with a Picatinny rail on the forend. lights) until output drops below 50 lumens.